Country and western music is a genre of American pop music derived from Southern folk music. A blend of blues and traditional Appalachian songs, country has a number of sub-genres, including honky-tonk, the Bakersfield sound, alt-country, bluegrass and outlaw country. The definition of the genre is loose and forever changing, but there are a number of characteristics endemic to most country songs. Many country songs have a particular "twangy" sound. The majority of country songs feature instruments common to folk music, such as banjos, fiddles, steel guitars and string basses. Washburn-brand guitars, made in Chicago and used by Dolly Parton and outlaw country legend David Allen Coe alike, are particularly popular. Most country songs are simple and easily memorable, featuring three chords and a verse-chorus-verse structure. According the music website Cluas, most country songs feature a chord combination of G-C-D, G-D-A or some combination thereof. 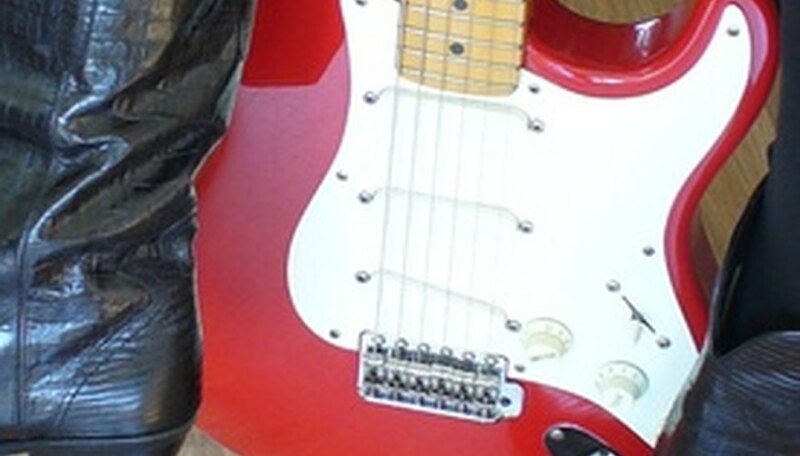 Most country and western songs focus on a handful of familiar topics. Country star Marty Stuart, speaking to the St. Louis Post-Dispatch said that the template for subject matter was originally set by Jimmie Rodgers, commonly referred to as the father of country music. "Cheatin’, drinkin’, redemption, murder, jail, mama, love, loss, and on and on," says Stuart. "According to the newspaper this morning, those are all still valid topics." Many country songs take the form of a narrative, one that includes characters, dialogue, plot twists and climaxes. Rather than being sung, action will sometimes be spoken. While sometimes country artists will be the stars of their stories and sing them from the first person, other times they will function simply as a narrator. Many country songs and artists have some affiliation with cowboys or with symbols and themes of the West, both contemporary and old. This can be found in the themes of the songs -- the cowboy with a broken heart is a common subject -- and in the costumes of the performers. Few male country stars perform without a cowboy hat. Many country singers, particularly traditional male stars, have a persona of someone "damaged". Hank Williams was an alcoholic, Waylon Jennings battled drugs, Tammy Wynette sang about divorce, and Johnny Cash covered it all. What Is the Difference Between Country & Bluegrass?